A good home-made coffee also goes through the efficiency and cleaning of the machines – moka, for pods and capsules – used for its preparation. In ancient Italian houses there was the cuccumella (Neapolitan coffee shop to be clear) and the coffee beans grinder manual. These tools did not need much maintenance but only normal cleaning after use. With the spread, in the post-war period, of the fastest and most practical moka, things change: the preparation time of a good coffee is accelerated, adapting them to the most intense daily life rhythms, but increasing attention to the maintenance of the new machine that requires more than the old one. 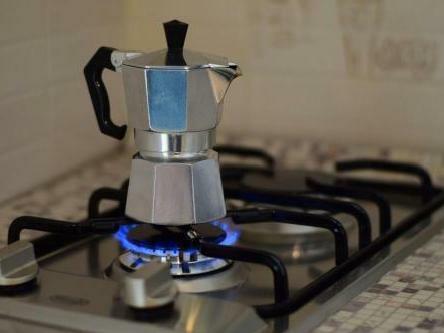 First preliminary to the full use of the moka is the preparation of four-five machines without drinking the prepared coffee, which would not taste good. This not only to test the correct operation of the moka but also to make it, so to speak, “settle”, clean the internal parts and deleted the rubber flavor of the gasket. The inside of the moka should not be washed with soaps or detergents of any kind: only running water, perhaps with the help of a brush, taking care to remove the traces of coffee in the filter, in the gasket (which occasionally it must be lifted to clean the underneath and then carefully replaced) and in the safety valve. The external part, on the other hand, is obviously very clean, even for hygienic purposes, as well as aesthetic, even with a metal net. When the seal ages, it must be changed. Limestone and wear are the two great enemies of the moka. The first, contained in the water, can, over time, clog the holes in the filter funnel and the safety valve, as well as sticking to the inner walls. It is therefore necessary to keep the parts clean, remove any solid grains, thus avoiding unpleasant surprises such as the explosion of the machine. A few hours in vinegar baths of the moka parts is appropriate from time to time, to obtain the best cleaning from limescale and impurities. With these measures our coffee machine will have a long life until the wear will not make it more usable and, then, will be replaced with another new one. One of the signs of the end of the moka path is the consumption of the thread which can be easily noticed by not allowing the perfect closure between the boiler and the collector; in such cases it is necessary to surrender: the glorious path of our mocha, after thousands of coffee, has also come to an end to prevent it from exploding. As for the machines for capsules and pods, more and more present in the homes of Italians, we can give the following advice. First we recommend using only very poor calcium water. In fact, over time, the internal parts of the machine, in particular the small pipes, are filled with limescale, thus preventing correct operation until it is clogged. Especially in capsule machines it happens that the internal parts, easily accessible, get dirty with the exhausted coffee powder. In this case you can use a normal toothbrush to clean them and allow the correct passage of water. But we must never go beyond the maintenance possible from the outside, never, that is, we must disassemble the engine body of the machine: between circuits and electric wires, it would be dangerous to do it like any other appliance. Finally, first insert the caspula or the waffle it is good practice to drain a little water, make a vacuum coffee, in short; in this way not only can the circuits be cleaned from any residual coffee dust – collecting the water you will realize that it will be yellowish and not clear due to the presence of coffee residues in the tubes – but also all the internal parts of the machine are heated thus allowing the correct extraction of coffee because the infusion occurs only between hot water and dust (and not even with lukewarm water or worse cold water). A last trick: the cup that you use to contain coffee is good that it is boiling, according to the Neapolitan tradition. The cup is, in fact, the cradle of the beloved black liquid and, if warm, it will better welcome it in his bosom. Good coffee everyone!